Germán Viera is an entrepreneur with a background in Software Engineering and Business Administration. He has been involved with Microsoft Office products as a developer. As a professional user building PowerPoint presentations for project management, marketing and sales, he found himself several times facing the need of professional PowerPoint templates and decided to join SlideModel as part of a solution to this pain. As Director and Lead of Customer Support, he divides responsibility into defining new content and generating an engaging customer experience through the platform and support. 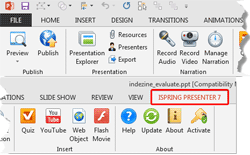 iSpring Presenter 7 is a PowerPoint add-in which enables you to create media-rich courses and presentations with quizzes in HTML5 and Flash. This add-in helps you create course content within PowerPoint, enhance it with video narrations, create branching scenarios and quizzes, thereafter publish it to mobile-ready formats, e-learning platforms, and as distributable standalones. Crosswords can indulge your mind, and minds of others. That's because they represent more than some words to discover - they symbolize potential, thought processes, intelligence, perspective, etc. 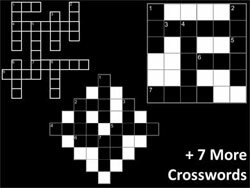 In this collection, we provide 10 crossword graphics. These crossword graphics can be used on their own, or also combined with other graphics such as a human head to create a larger concept! Mazes are more than just mazes! That's because they represent so much more - from hidden treasures to getting lost, and from discovering something to complications - a maze can symbolize all this and more! In this collection, we provide 10 mazes - (4 circles, 3 squares, and 3 semicircles). 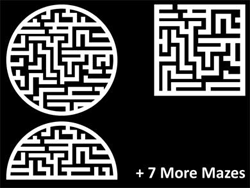 These mazes can be used on their own, or also combined with other graphics such as a human head to create a larger concept! standalones. Unlike conventional 2D charts, 3D charts have distinct walls and a floor. Also, by default, these walls and floor show no fill and not even a border. The lines you see within the walls are Gridlines, and not borders. If your slide background is a solid color, these defaults could work best for you -- however you may want to play a bit with changing the fill or line attributes for the wall and floor elements. Do remember though that you should leave these elements in their default state unless you have a compelling reason to change them! Even though charts are a visual medium, they still contain plenty of text in the form of data labels, titles, legend, axis labels, etc. Whenever you insert a new chart (or any other slide element), the default colors and fonts used are based on the active Theme of the presentation. In this tutorial you are going to learn how you can change the font and use other text options for charts in PowerPoint 2013. You can tweak your chart in PowerPoint as much as you want so that the resulting chart follows your specifications. Once you met a standard that you may want to replicate often, PowerPoint 2013 makes it easy to save the chart you create as a template. Saving a chart as a template saves all the tweaks you made -- and you can use the template as a starting point when you insert another chart. Where are the Chart Templates Saved? The chart templates you save within PowerPoint 2013 are saved into a default folder location which you do not have to worry about, as far as you are using those templates on same computer where they are saved. However, if you need to share these CRTX chart templates with other users, or if you received a CRTX chart template from someone else, then you need to make sure that these CRTX files are placed in the default location where PowerPoint 2013 looks for them. In PowerPoint there are some differences between text placeholders and text boxes. As far as formatting for text placeholders and text boxes is concerned, almost everything else does work in the same way. However, there is one more vital difference between a text placeholder and a text box - and that's related to how you insert them. This is the once-in-a-while offer that Indezine brings you in partnership with PowerFinish -- something that has been a very successful promo in past years. This year, we made this even better for you! + 15,000 PowerPoint Templates and Backgrounds -- these are all clean in appearance and eminently useable! + Free shipping anywhere in the world! 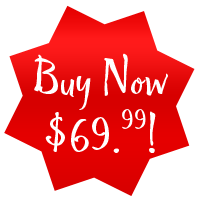 This offer is only valid through December 18, 2014 -- so please act soon if you don't want to miss this amazing option. Necessary to add a visual to every slide? What do you think about slides with no visuals? And also seamlessly switch between the two? Received this email from a friend? If you would like to join our mailing list, go here. 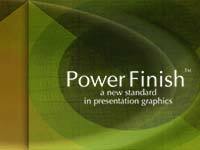 This newsletter provides more info on better PowerPoint usage, and presentation design. You can also opt to get our RSS feed, where you can get updates through Feedburner. Do let us know how we are doing -- we love to hear from you! And if you enjoyed reading any content on Indezine.com, please do like them on Facebook and other social platforms, click the Google +1 buttons on all these pages, and tweet them all so that you can share these joys with others -- and keep your feedback coming! Have a fabulous week. Our PowerPoint and Presenting Blog is updated daily with information on what's new and happening in the world of PowerPoint. The Indezine News mailing list is powered by Aweber. If for any reason, you no longer want to receive this newsletter with valuable tips, resources, and information about PowerPoint and presenting stuff, you can unsubscribe by clicking the link at the end of this email. No hard feelings!